What was it, do you suppose, that so impressed upon the minds of the founders, the need for this amendment? Obviously, experience and history. Their most recent experience with the English Parliament and King George III had impressed on everyone’s mind the importance of being able to speak one’s mind publicly—to argue, to persuade. Freedom of speech and the press had played a huge role in the success of the revolution, and no one had any thought of ever giving it up. But the founders had a strong sense of history, and most were well acquainted with a simple and quite obvious fact. Tyrants don’t like criticism and will use whatever means come to hand to control it. 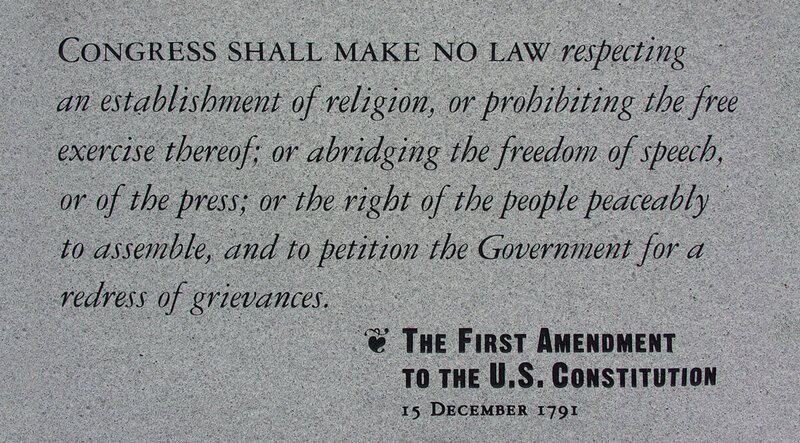 Thus, for a society to remain free and democratic, freedom of speech and the press were not negotiable. I have a feeling that many of the founders were also aware of the long history of the abuse of power and the control of criticism. Once in a while, someone takes me to task for talking about politics when I am supposed to be teaching the Bible. People in government have been trying to run this con for a very long time. Let’s keep religion and politics separate , they say. The constitution says: Congress shall make no law respecting an establishment of religion, or prohibiting the free exercise thereof. But what if the free exercise of religion involves speaking against immorality in government?